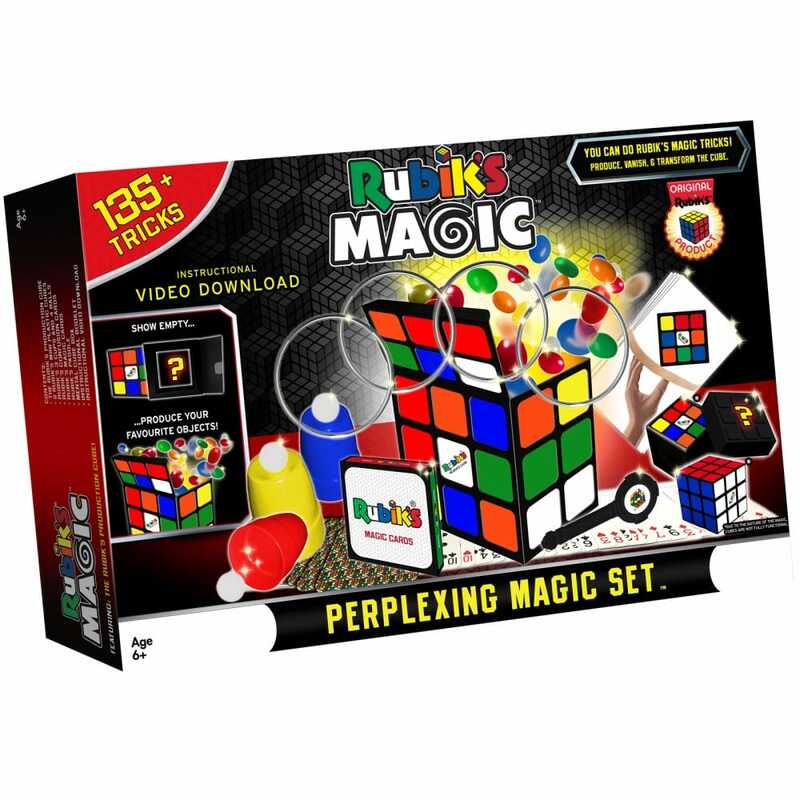 The Rubik’s Perplexing Magic Set lets you produce, vanish and transform the iconic Rubik’s Cube! Includes over 135 tricks to wow and impress your friends – just like a real magician. Featuring the Rubik's production cube and produce your favourite objects, instructional video to download. Contents: Rubik’s cups and balls, Rubik’s magic cards, Rubik’s paddle, 2 mini plastic cubes, metal linking rings, Rubik’s confusion cards, Rubik’s metal cube box and instructional booklet.